The video dramatized (actually, “dramatized” may not be the correct term since, as I remember, the acting was pretty terrible) the story of a family relaxing on a hot afternoon in Coleman, Texas. One member suggested driving up to Abilene for ice cream. Despite it being a 50-mile drive, someone else said that it sounded like a good idea. Then another family member, not wanting to be disagreeable, also said “let’s go!” Soon, they were all piled into an old, non-air-conditioned station wagon, driving in the heat and dust to Abilene. When they returned home four hours later, hot, exhausted, and out-of-sorts, they discussed what they had just done. It soon became clear that none of them, even the person who suggested it, really wanted to make the trip in the first place. They had all agreed “just to get along,” because they thought it was something everyone else wanted to do. I was so impressed with this concept that I told my husband about it, and “are we going to Abilene?” soon became our code question when we needed to check out whether or not we both REALLY wanted to do something. 20 years later, we still use it. So, of course, when planning my trip across the United States, when I saw that we would be passing near Abilene, I insisted that we make it one of our stops. Fortunately, my traveling partner agreed; not just to get along, but because it sounded like a good idea to her too (at least I think so…). Abilene turned out to be a charming town. 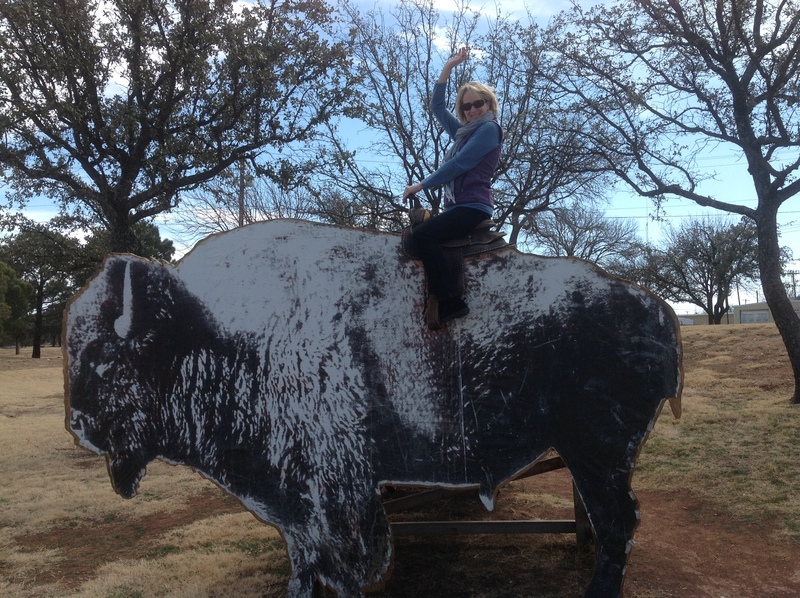 We ate some great Texas barbeque, met a number of terrific people, and found several wonderful photo ops. I think I’d like to make a trip back here when I can spend more time exploring. I’m sure “are we going to Abilene?” will still be a question my husband and I will ask each other now and then when we need a reality check, but now, after spending some time there, “yes” won’t be such a bad answer. What a great story! And an even better picture! I enjoyed how the story connected the metaphor with the actual city. I hope you are enjoying yourselves! Thank you! Abilene was really a highlight of the trip. I never would have stopped if I didn’t see the video so many years ago.